Our staff is available for information. 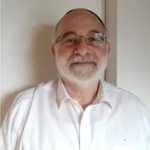 The Kasherut division is under the supervision ofi Rav Y. Belinow. Every year the United States alone consume kosher-certified products for more than 150 billion dollars, and the consumption keeps growing both in Europe and in Israel. The market of the kosher-certified products includes not only observant Jews following their own nutritional laws, but also Muslims and millions of people who are either vegetarians or who suffer from an intolerance to lactose. Market experts agree that the kosher certification reassures the customers, because the products are supervised and they satisfy high quality standards. For either food products targeted to end customers or for ingredients for industrial manufacturing or for products for a specific trade mark, the kosher certification improves the brand’s profile on the market and permits to widen its market share. Today, the kosher certification is surely a market niche but it enjoys an opinion leader role and it represents age-old cultures and traditions. IKU avails itself of the ultimate technologies. In Italy, the number of kosher-certified companies keeps growing at high pace. IKU is more and more attentive to the requirements of the manufacturers applying for the certification, and avails itself of Rabbis who are both experts in Jewish laws and expert in the several sectors of the food industry. In order to obtain a kosher certification, a product must fulfill rigid quality standards and all its production steps must conform to the Laws of the Kosheruth and to the Jewish Laws. Its compliance to such rules must be verified periodically on the production place by experts, and the certification (that expires and must be renewed) can be withdrawn at any stage, when the guarantees requested are not met any longer. This is why Italy Kosher Union avails itself of specialized personnel and modern, digital methods. We are a globally renowned reference point, together with other USA agencies. Our staff will be happy to provide the food industry with information and quotes. 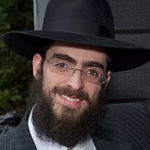 The kosheruth division is under the supervision of Rabbi Y. Belinow. The coordinator and manager of IKU is Dr Meyer Piha.(www.italyjewishguide.it) . La Certificazione Kosher OU: OU Kosher is the world widest association for kosher certification, it certifies more than 250,000 products in almost 5,000 factories spread in more than 60 countries. The OU brand, one of the most renowned in the world, immediately improves the customers’ perception of the products world-widely, with beneficial effects also on its commercialization. OU Kosher stands out amongst the associations dealing with kosher certification, because it is part of a non-profit organization founded in 1898, allowing it to obtain the highest levels of integrity without any conflict of interest. 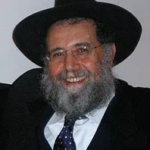 It is represented by 500 rabbis operating on the field, in the whole Europe and worldwide, from the Americas to Australia, from the Far East to South Africa. 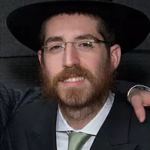 They are experts and qualified in modern food production techniques and in biological and chemical systems, but in the complex Jewish Laws as well. The New York headquarters are manned by 50 coordinating rabbis, who have the role of accounts for OU-certified companies, and are sided by ingredients specialists, flavor analyzers and other assistants. A top-notch computer system collects and allows the traceability of the information on products and ingredients. The OU database contains information on more than 200.000 ingredients for food products.